Royalty, dignitaries and Hollywood a-listers regularly grace the Connaught’s doors, many returning year after year, and it’s easy to see why. On entering The Connaught the first thing that hits you, aside from the truly delicious aroma (British master perfumer Roja Dove have created a bespoke perfumed candle especially for the hotel) is the warm and welcoming ambience. Over 100 rooms and suites dot the iconic hotel, yet it still retains the cosy feel of a boutique residence. 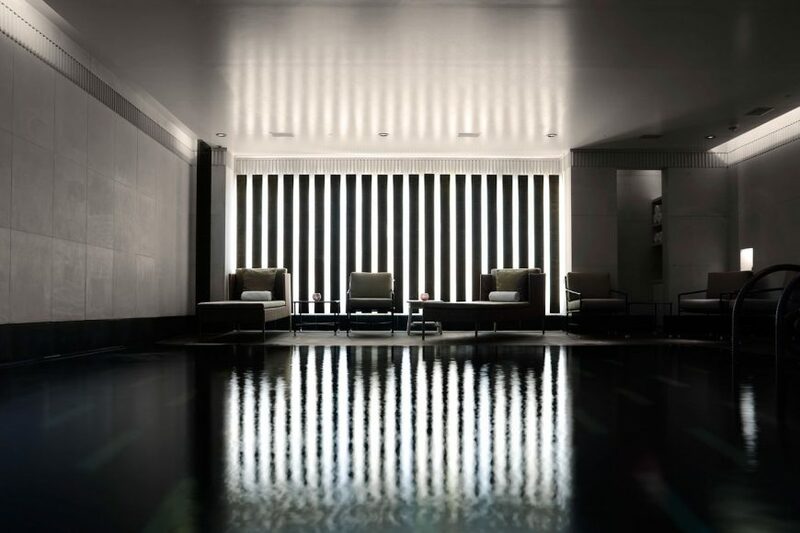 Hidden in the basement of the shiny new wing is Aman Resorts’ first urban spa. Retaining the first class Aman Spa qualities and wonderful ethics of embracing and utilising nature, the chic space is styled in natural woods and stone creating a calming ambience in contrast to the bustle of the city outside it’s walls. The Spa has five low-lit treatment rooms (one double and four singles) each featuring a dressing area, treatment area and steam room, as well as individual music systems. Head to the spa hub and you’ll find the beautiful pool fringed with day beds for pre and post treatment lounging and an aromatic steam room. The ‘Spa Signature Treatment from Thailand’ is a richly aromatic and holistic experience that combines Thai massage with the use of steam and Thai herbal heat compresses (Luk Pra Khob). A deeply warming treatment which purifies the skin, the treatment is recommended for deep-seated muscular pain, detoxification and re-energising. 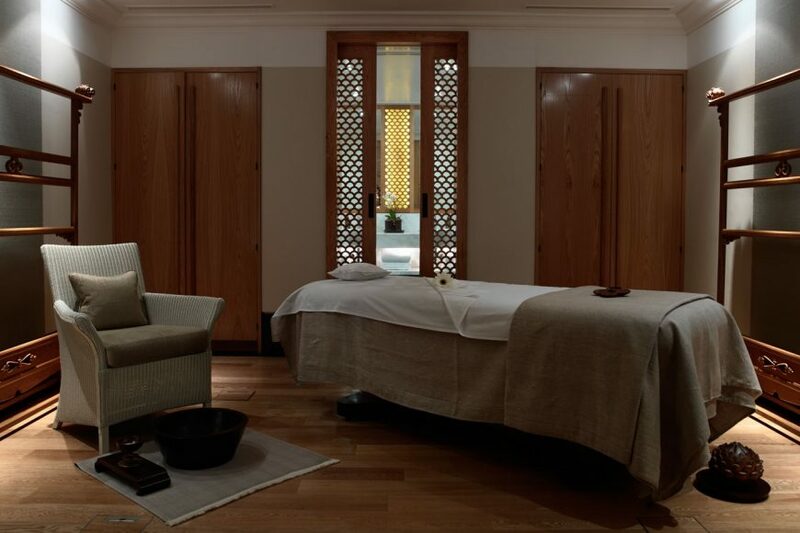 All treatments commence with the renowned Aman foot ritual to encourage immediate relaxation. Kitted out in traditional Thai pyjamas my treatment began with extensive assisted stretching and pulling techniques to loosen and stretch my stiff muscles. Therapist Candy (who is INCREDIBLE btw) then performed a shiatsu pressure point body massage combined with reflexology. Already feeling longer and completely tension free I was sent for a private steam followed by a invigorating shower to set me up for round two of the treatment – an aromatherapy full body massage using herbal heat compresses infused with citrus oils, which are kneaded in to the skin to work on deep seated tension. Completed with a face and scalp pressure point massage, I literally felt like I’d had a complete body overhaul. This was, without doubt, one of the best holistic experiences I’ve had – pure and utter bliss. Rooms and suites range from traditional in the original building to contemporary in the new wing. We stayed in the incredible Library Suite. 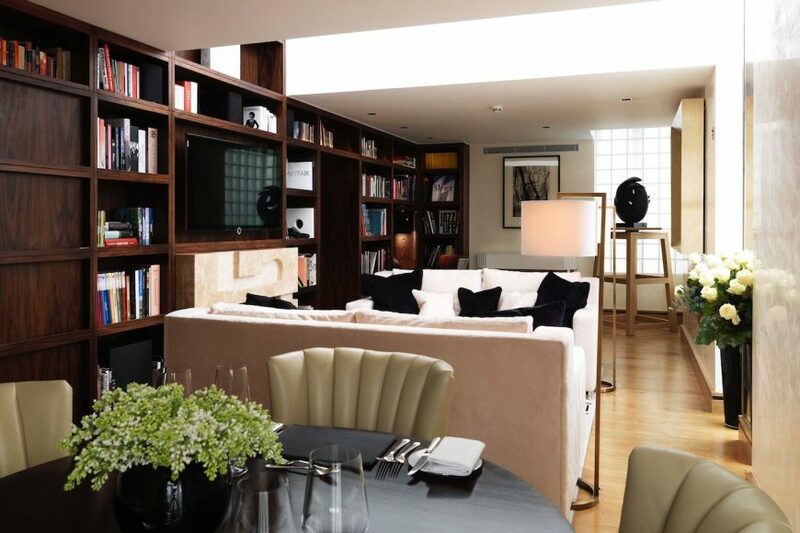 Designed by renowned architect Michael Blair the suite comprises of a master bedroom with an en-suite bathroom, a guest cloakroom and library-style sitting room – with a hidden door in one of the bookcases! The contemporary living space in The Library Suite is filled with natural light and styled with modern artwork, with the layout arranged around a cosy coal-effect gas fireplace. In the bedroom you’ll find an incredibly comfy king size bed, and a huge TV hidden within a mirror.